Ever had a retail gift card which expired? Tired of missing out on tickets to major concerts or sporting events because scalpers or 'computer bots' have snapped them all up? I'll be strongly supporting new legislation in Parliament this week which will significantly reform both areas. Firstly, the new legislation will require all retailers to extend the life of gift cards to a standard three years. Secondly, the new laws will make it illegal in NSW to re-sell a concert or spo...rting event ticket for anything more than 10 per cent above the original ticket price. This is specifically targeted at destroying the business models of scalpers and ticket re-sale sites such as Viagogo, and delivering a fairer go for people trying to buy tickets properly. Some of Australia's biggest sporting stars dropped by today to support the ticket scalping reform. 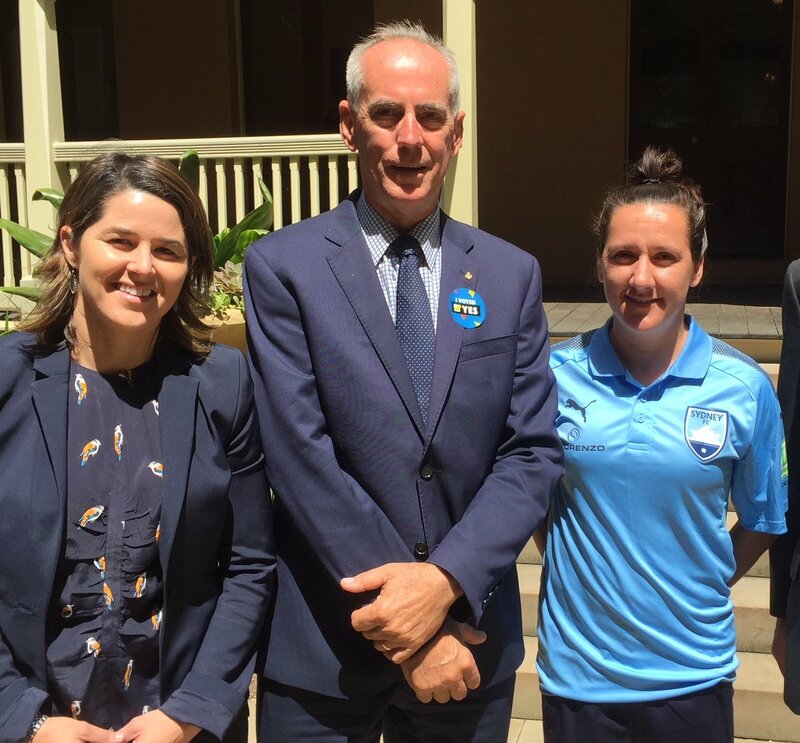 It was great to meet Matildas and Sydney FC star Lisa de Vanna and former Westfield Matildas legend Sarah Walsh.